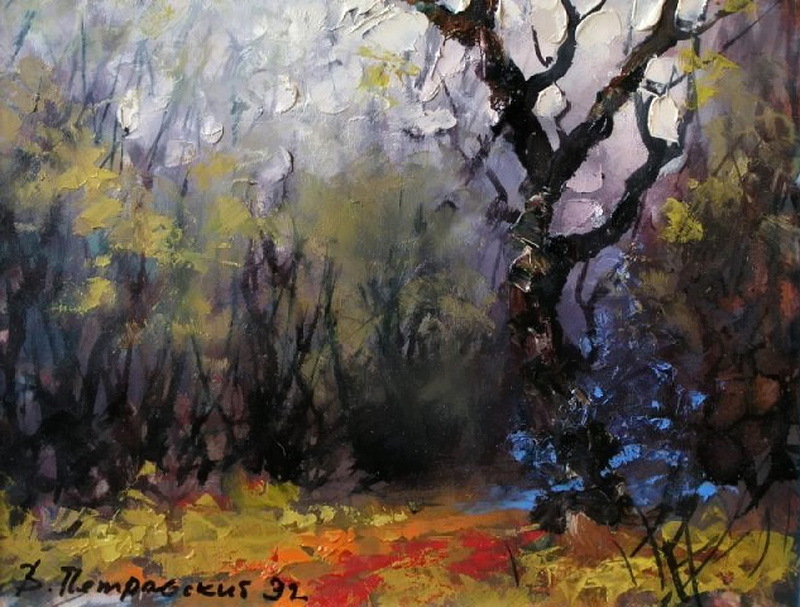 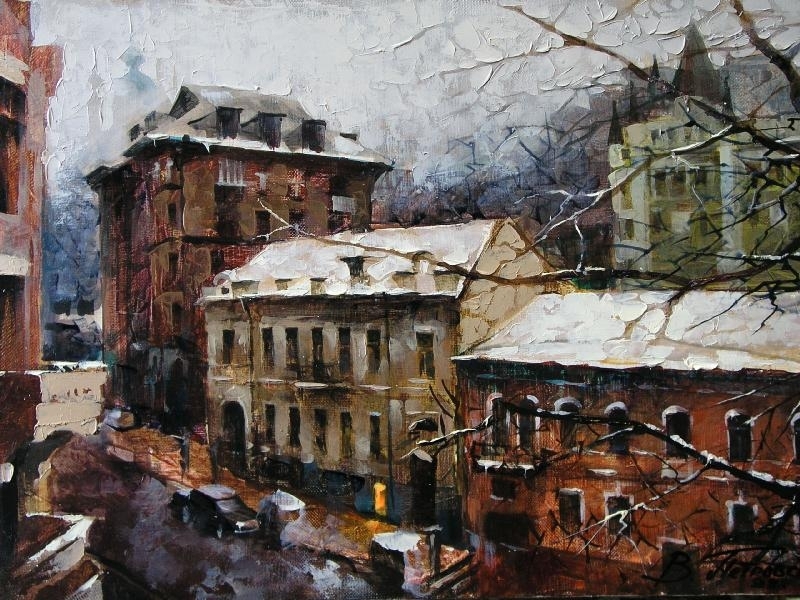 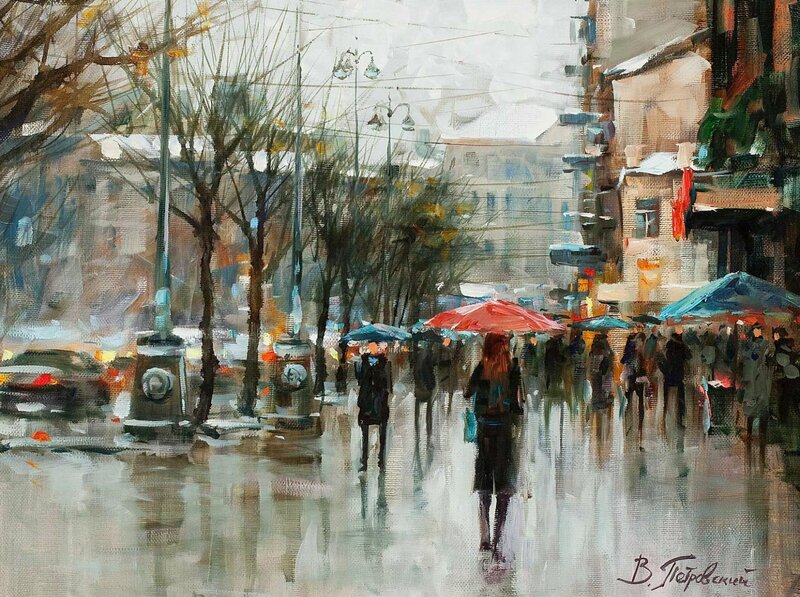 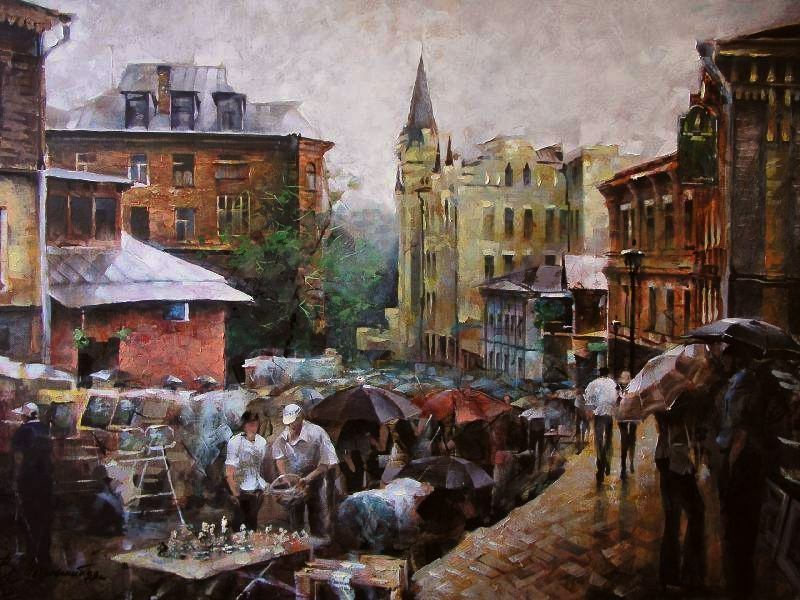 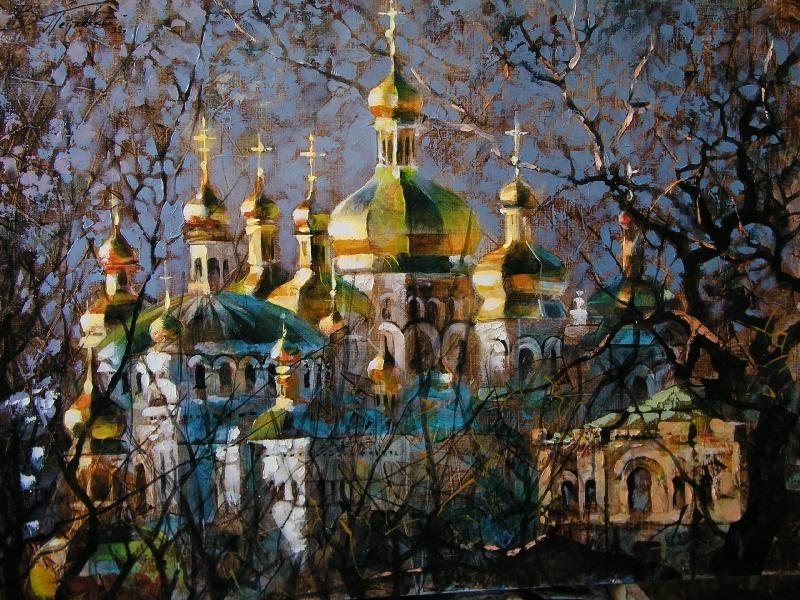 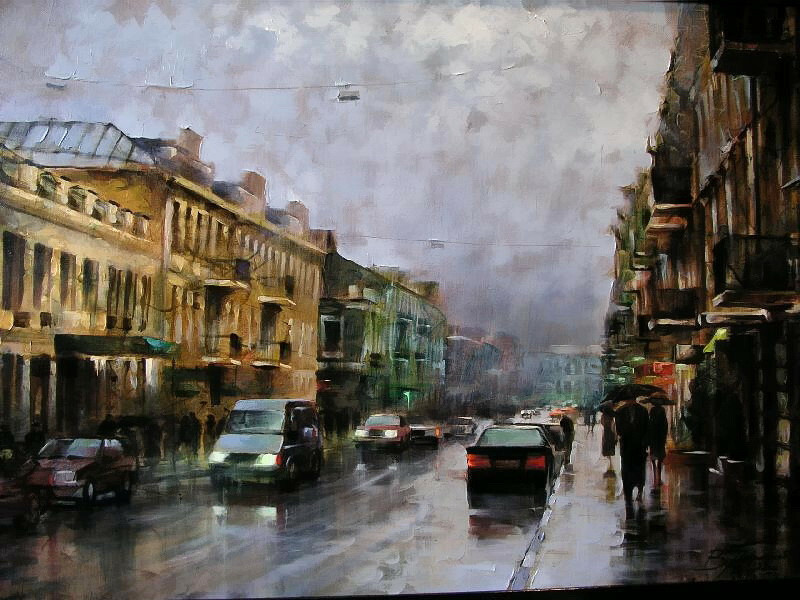 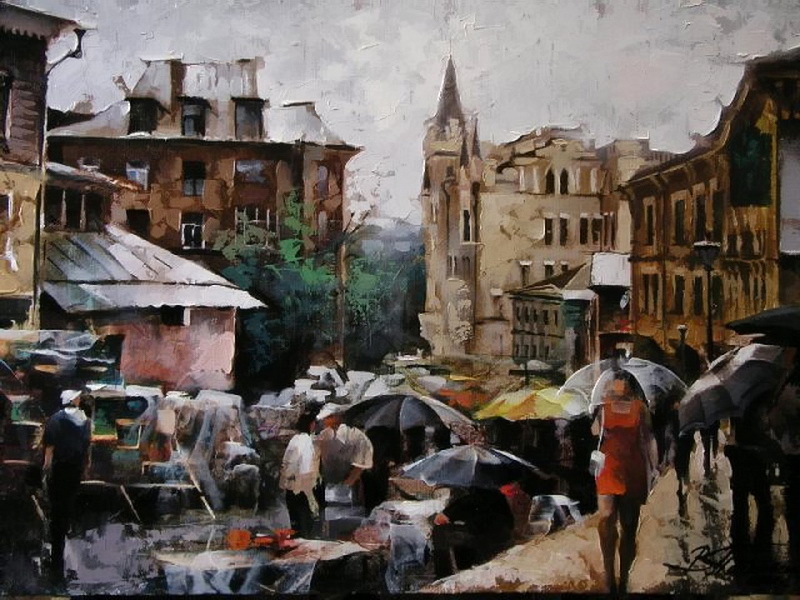 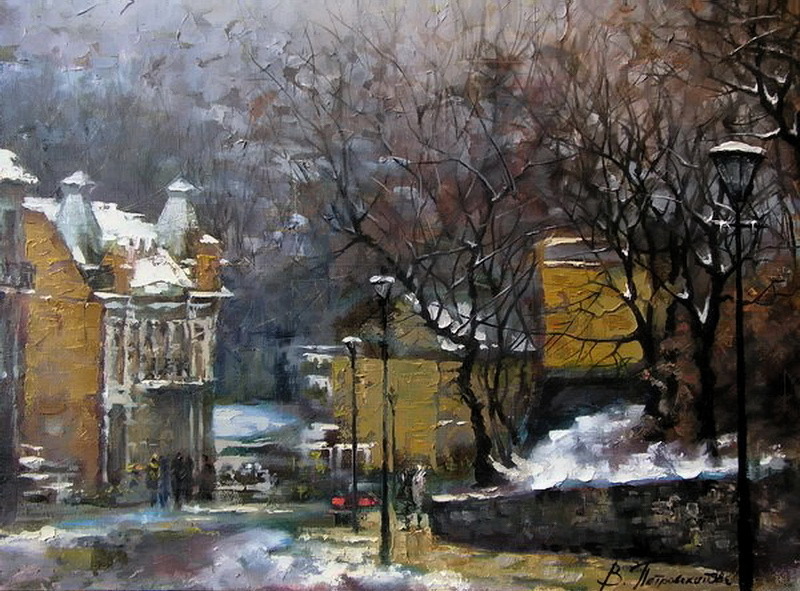 Russian painter Vitaly Petrovsky /Виталий Петровский was born in the city of Vinnitsa, Ukraine. 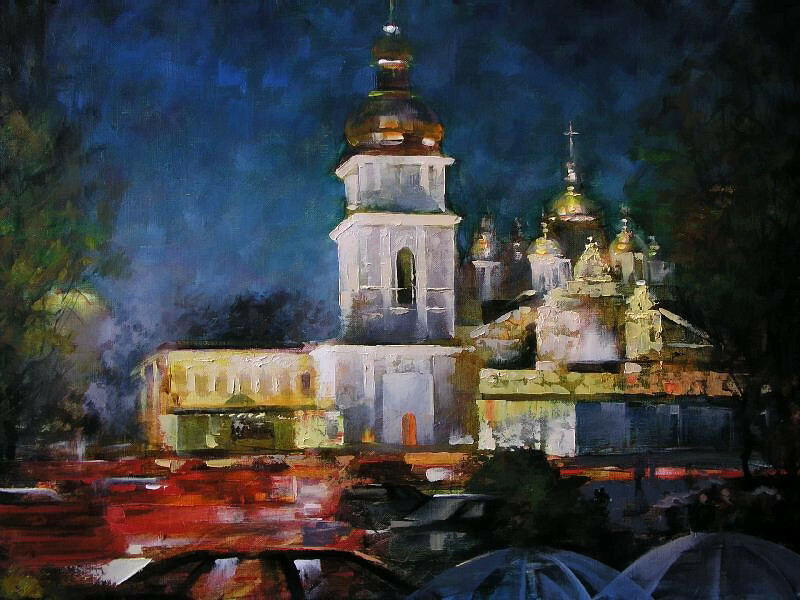 He graduated from art school in the winery, and in 1990 the Kiev School of Industrial Art. 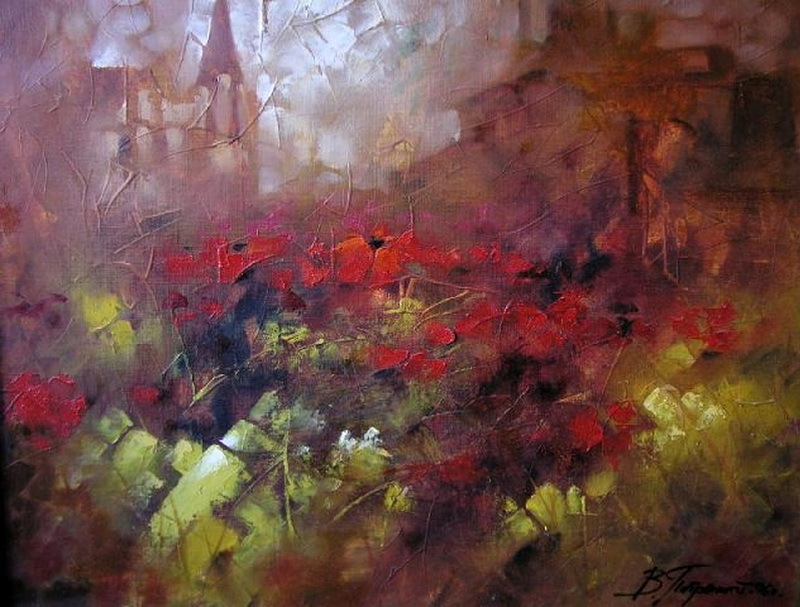 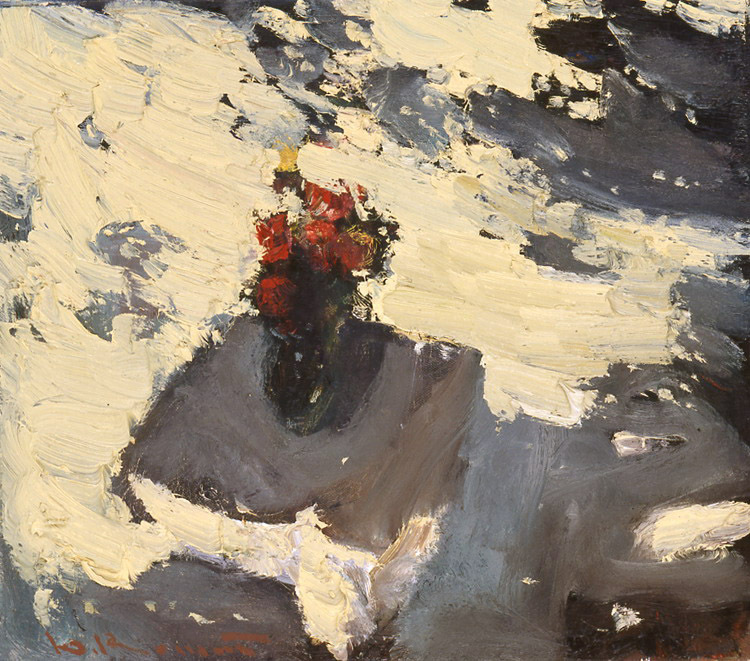 Works in the genre of landscape, at least - portrait, still life. 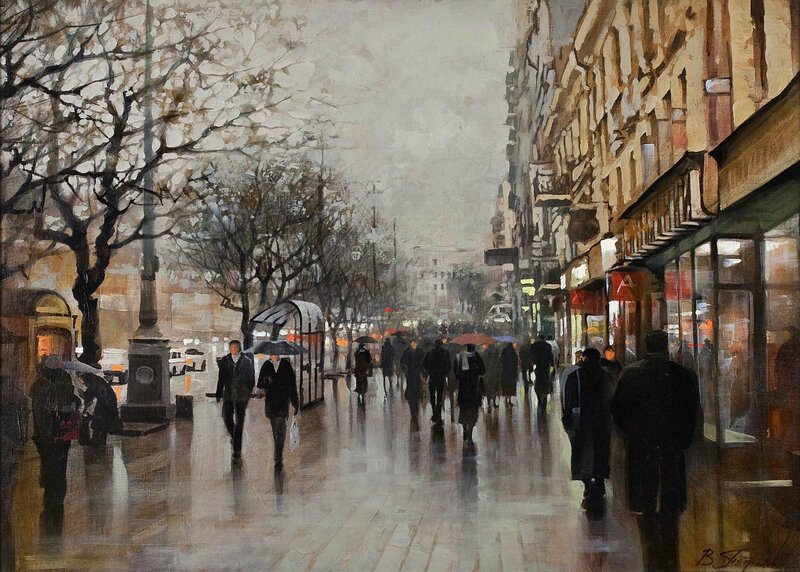 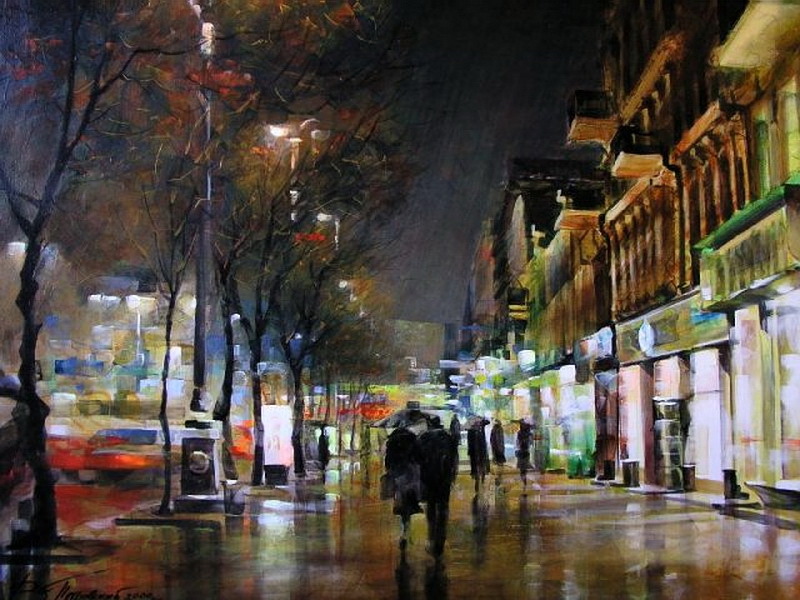 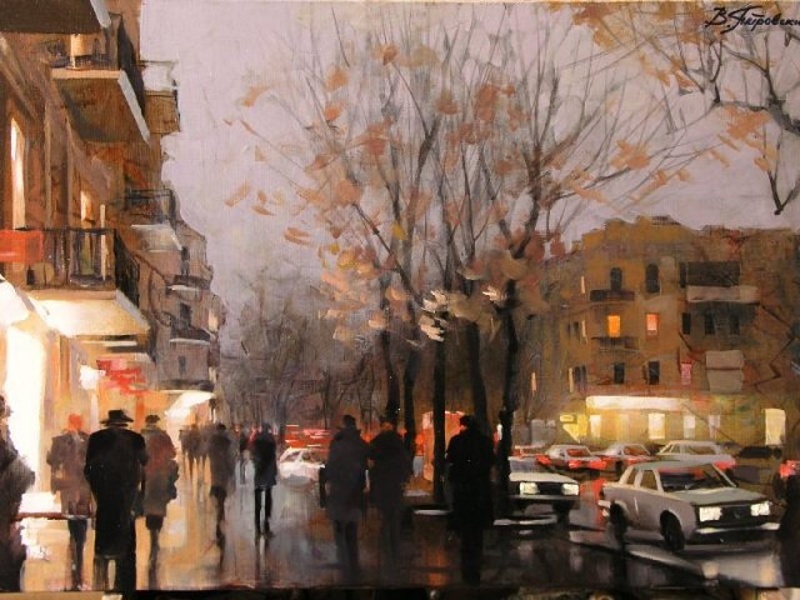 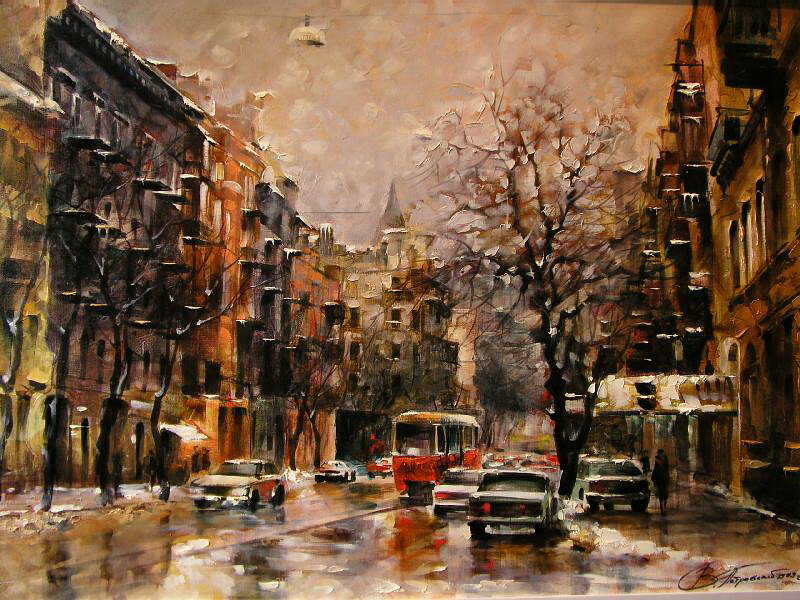 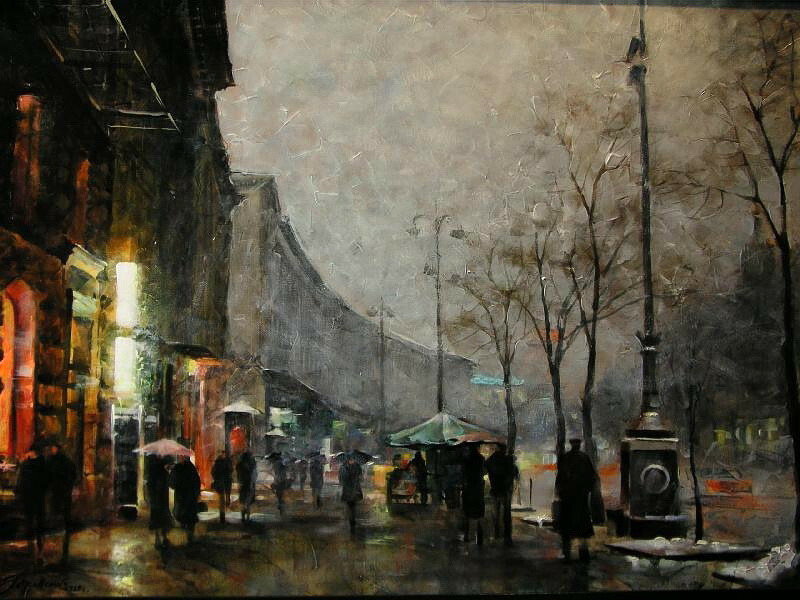 The main theme of his work - the urban landscape. 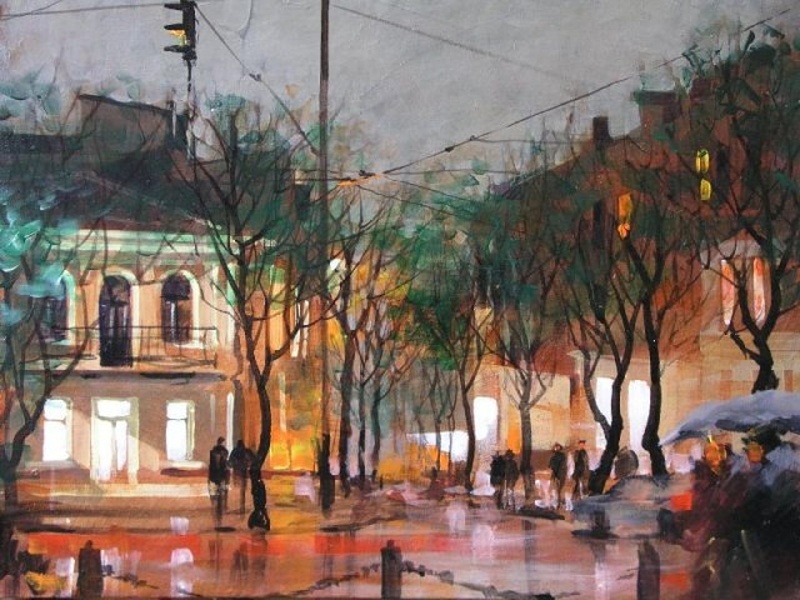 The implementation of this work requires the artist accuracy. 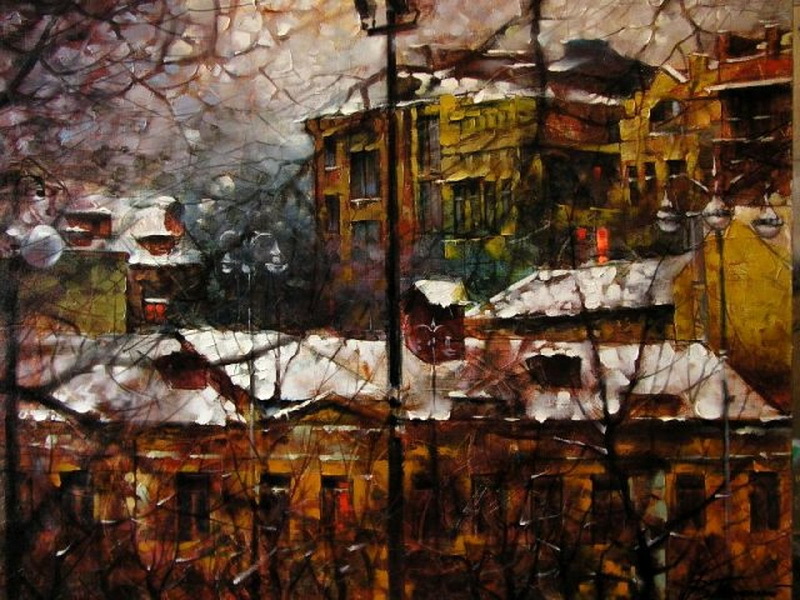 Multilayer technique. 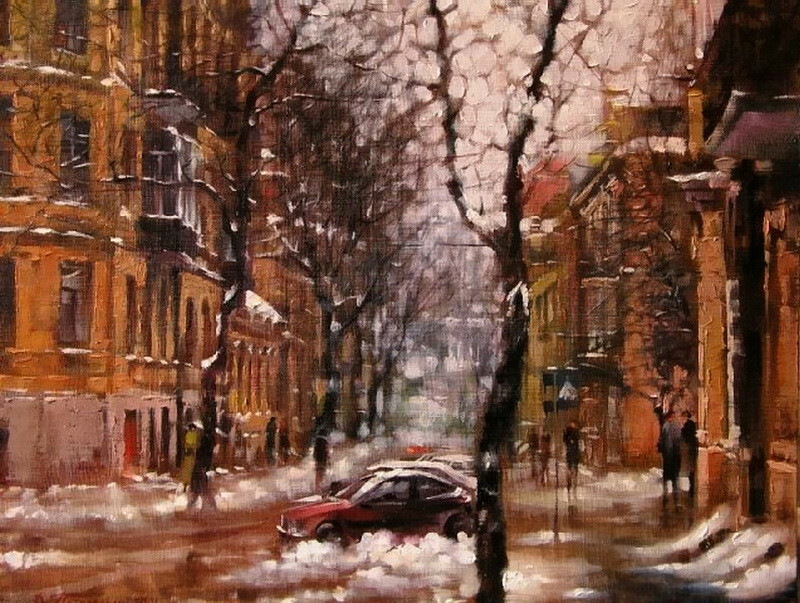 The storyline is simple and realistic. 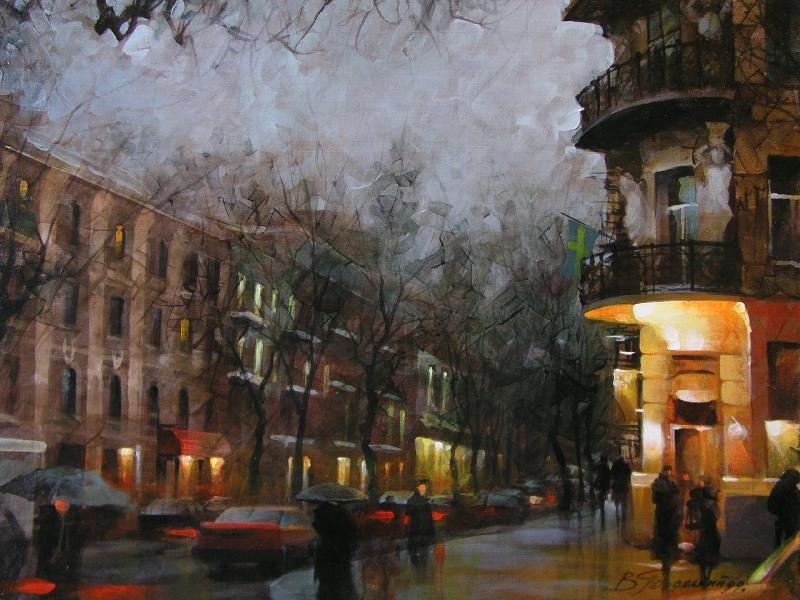 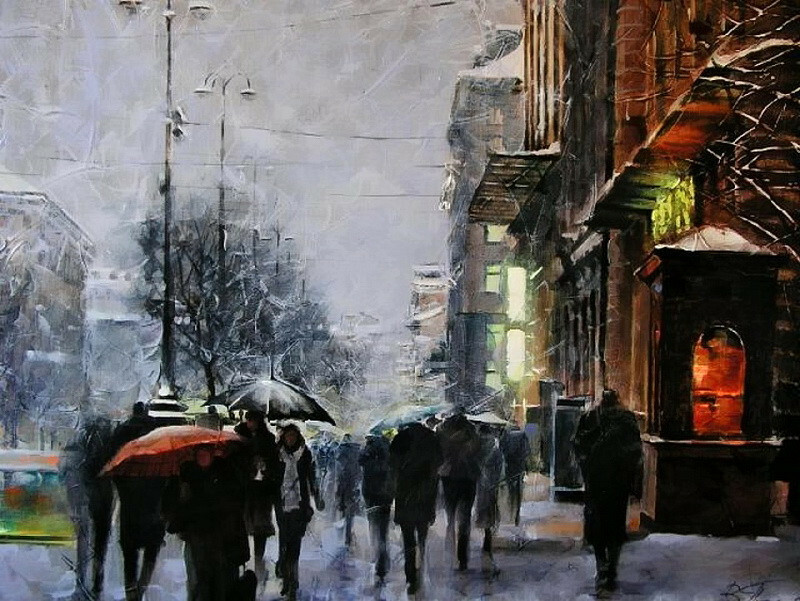 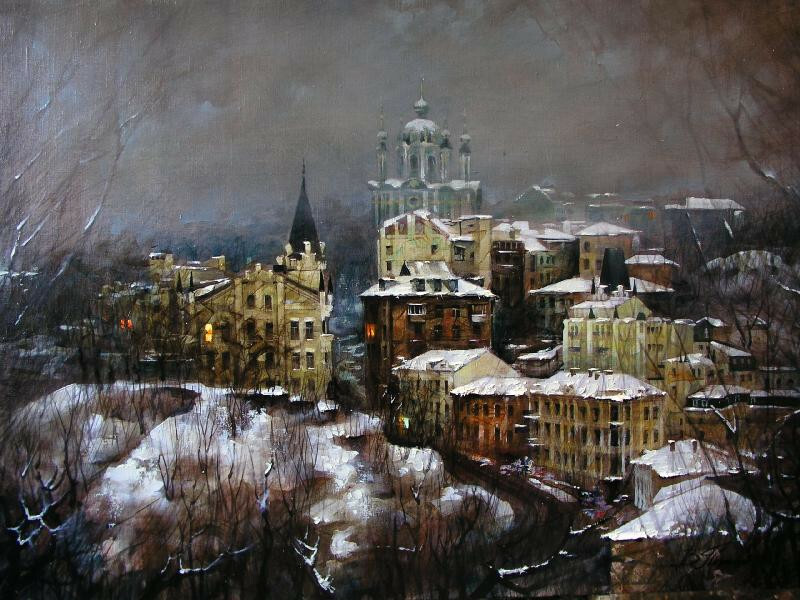 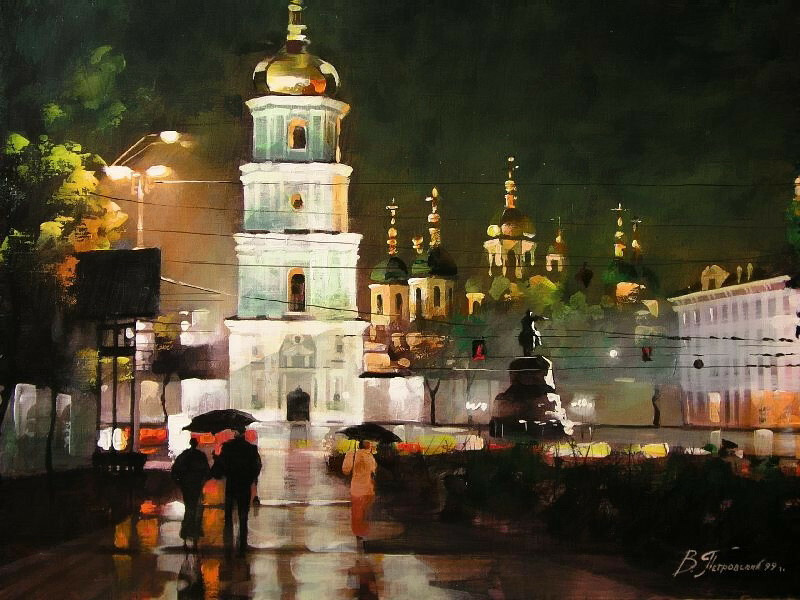 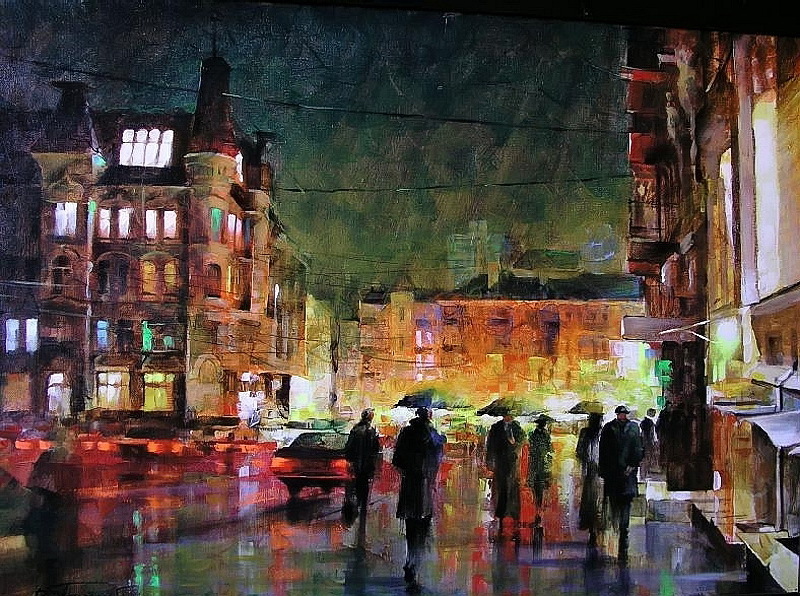 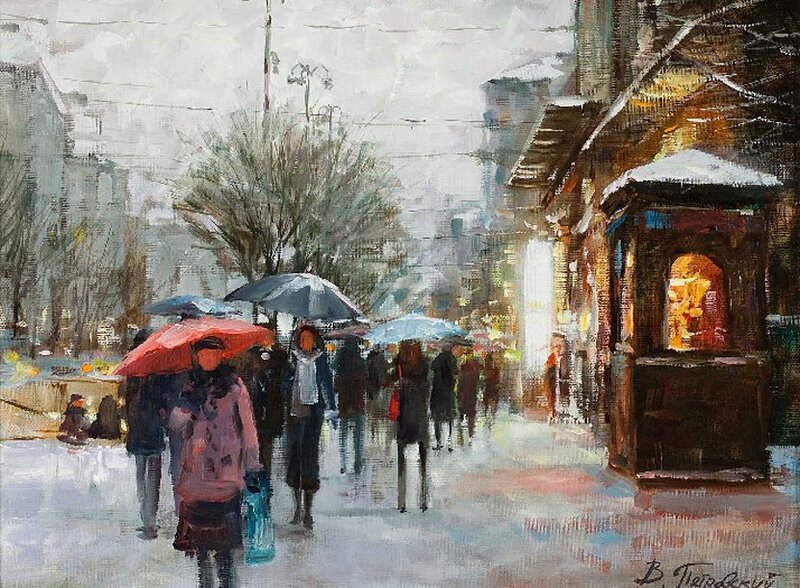 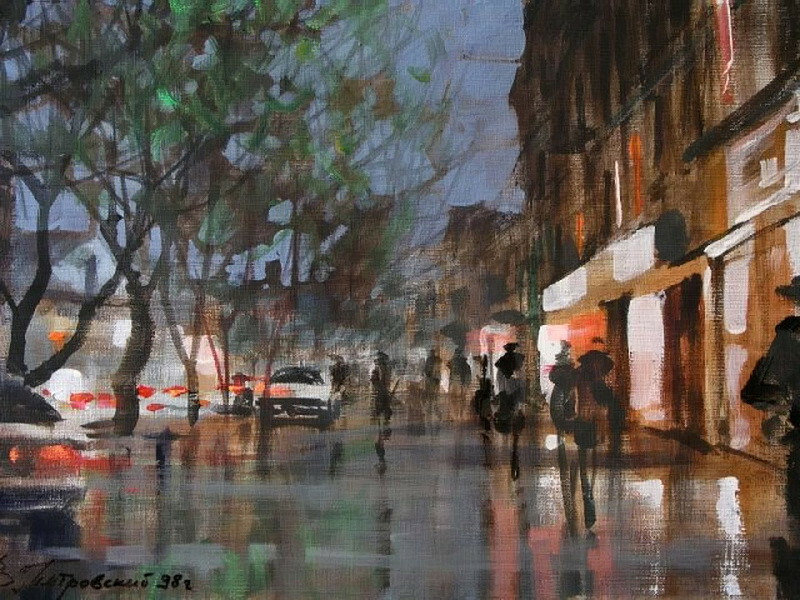 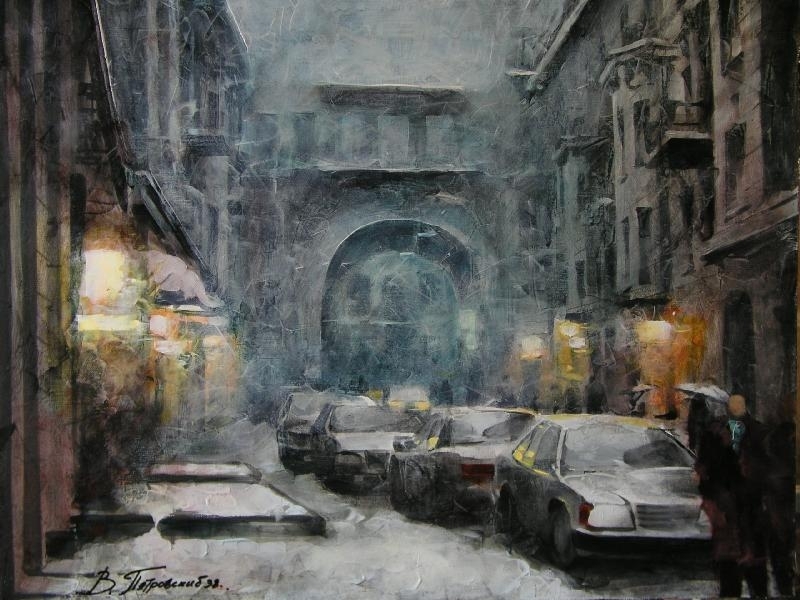 In his author's manner of performance artist manages to convey the beauty of particularly expressive and romantic city of Kiev at different times of day. 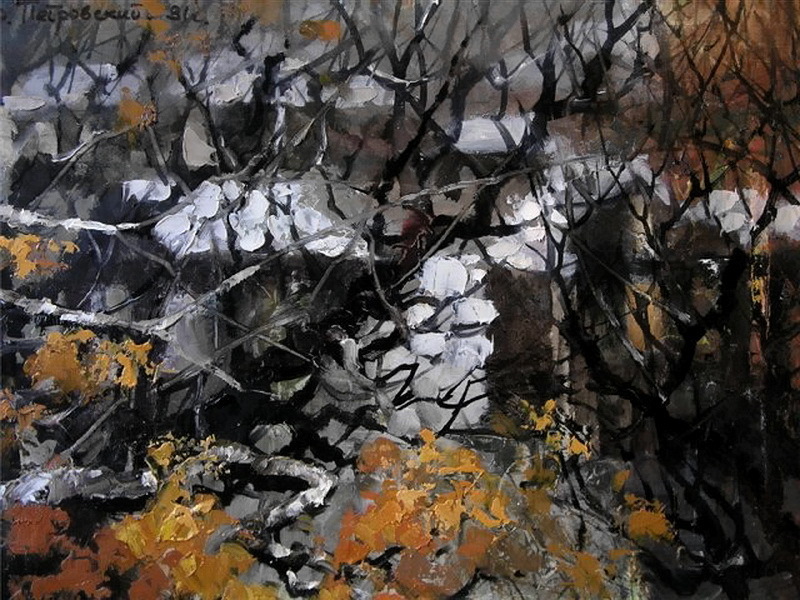 Inquisitive, observant eye wizard detects the subtle nuances of all seasons and states of nature. 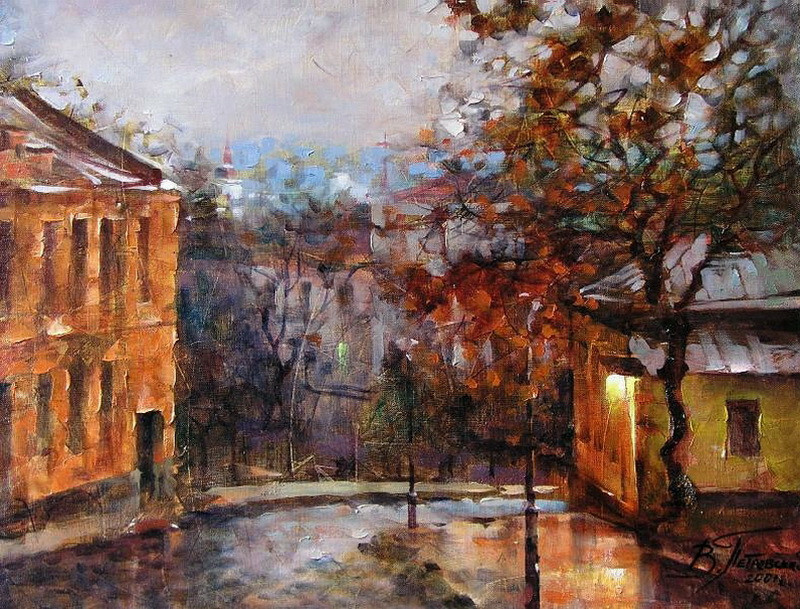 Each work is distinguished by its mood is certainly transmitted to the viewer. 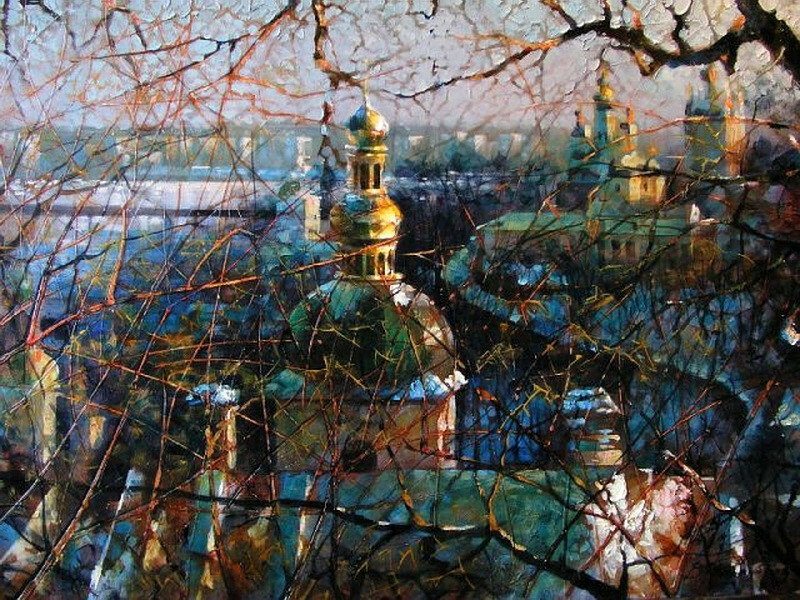 That is why the paintings of Vitaly Petrovsky want to watch again and again, each time discovering something new, not previously noticed.